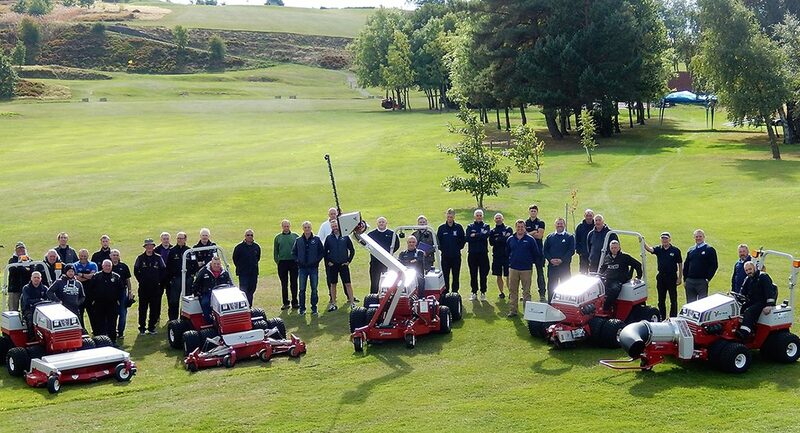 “One of the most successful events I’ve ever attended!” said Rupert Price after the Russell Group’s Groundcare Demo Day at Stocksbridge Golf Club in Sheffield. 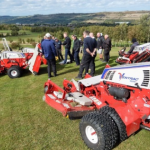 Organised by Glen Sawyer, Russell’s Equipment Sales Manager based at their Rotherham depot, the dedicated Ventrac Demo Day attracted in excess of 40 visitors from local landscape contractors, golf courses and a national hire company. An unprecedented five Ventrac 4500 compact tractors with a total of 13 different attachments were assembled at four stations within a comfortable walking distance of the clubhouse. Visitors rotated between each station and were able to see each implement demonstrated and, in some cases, ride and drive the machines. 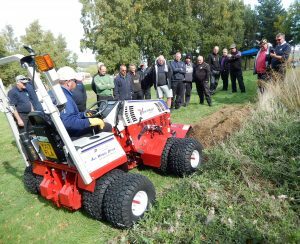 Implements and attachments demonstrated included four different mowing decks, two blowers, trencher, edger, Aera-vator, Power Broom, Power Rake and stump grinder. Also on demonstration and makings its UK debut was the new Boom Mower, to be officially launched at SALTEX at the end of October. 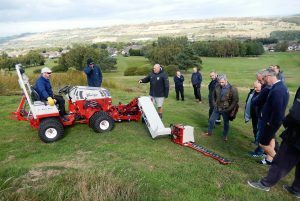 After an excellent lunch prepared by the clubhouse staff, visitors were invited back onto the course for more in-depth demonstrations, to see the climbing ability and all-round performance of these versatile machines. 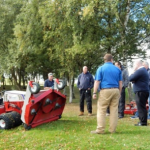 Commenting after the event Glen Sawyer said, “This was an excellent day and it certainly surpassed our expectations, It was a great team effort from my team, the guys from Price Turfcare and the staff at Stocksbridge. Head greenkeeper Jamie Hobson was most accommodating allowing us to dig trenches, clear bracken and reshape the edges of his fairways and the guys driving the machines did a great job. Anyone who has visited Stocksbridge knows that it has some very steep slopes and the demo team certainly put the equipment through its paces.